TOP > HUD -Heads-Up Display- > Motion Plug > Motion Plug (Free) > How to Use? 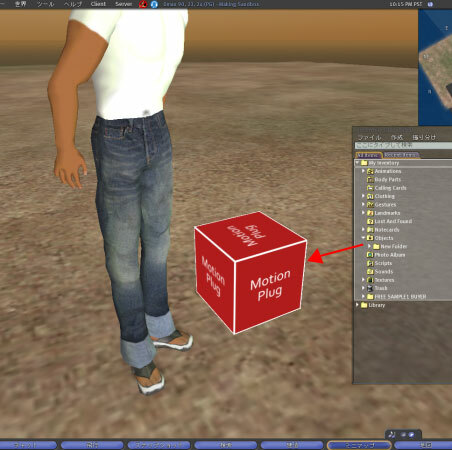 (1)Rez the object "Motion_Plug1.5_box" on the ground of sand box or your land. (2)Right click it and open the content. 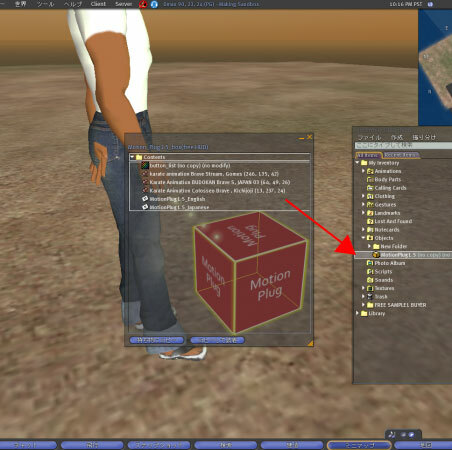 (3)Put the "MotionPlug1.5" in the inventory. 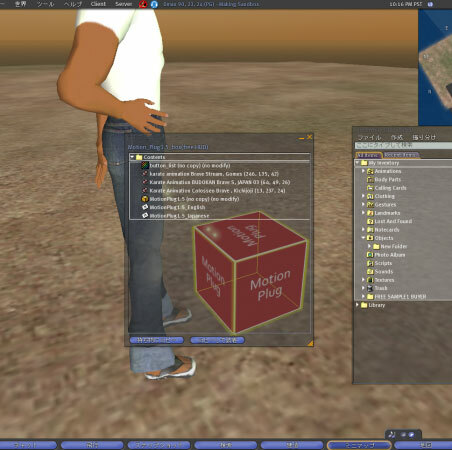 (4)Rez the "MotionPlug1.5" from inventory to the ground. 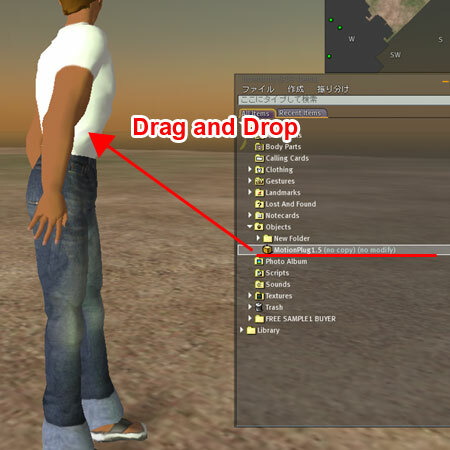 (5)Right click the "MotionPlug1.5" and open the Content tab in the Edit menu, drag and drop all animations that you want to use into Content. (6)Double click the script "MotionPlug1.5_root" in the same Content. 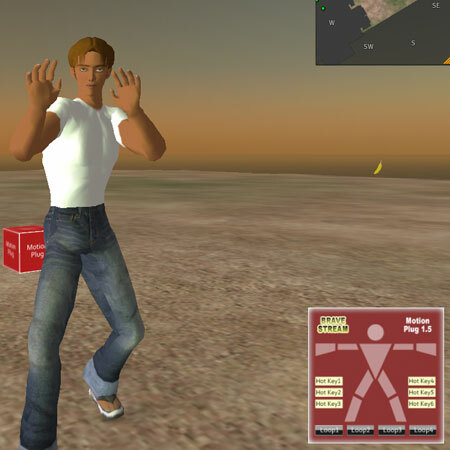 (7)You assign animations to a button in the list below the title //// Assign animations to buttons,here ///. 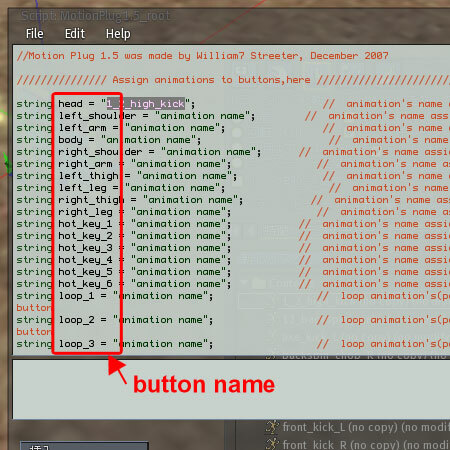 For example,in the case of the first line 'string head = "animation name";' , please change "animation name" to the name of the animation you want to use. 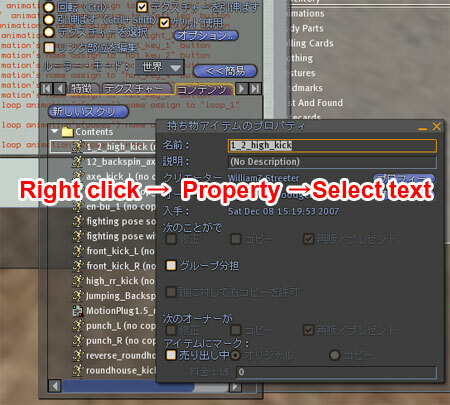 * Right-click the animation , property screen will open, select the name text , copy to the script, it's the simple way. Because character string "head" after "string" is the button name, you assign the animation to a head button in this line. 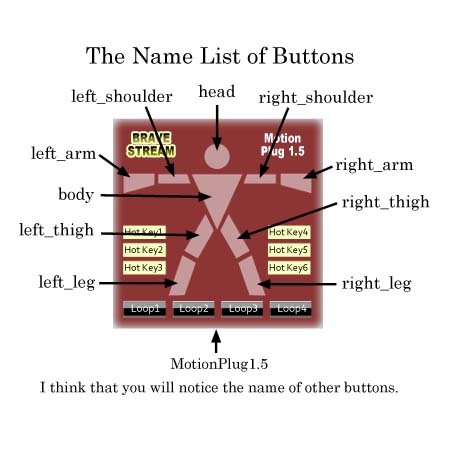 * About the placement of the button name, please confirm the image "button_list" which is in "Motion_Plug1.5_box". (8)When you finish writing the names of animations and save the script,close the edit menu and take "MotionPlug1.5" in your inventory. (9)Drag and drop the "MotionPlug1.5" to attach your avator.